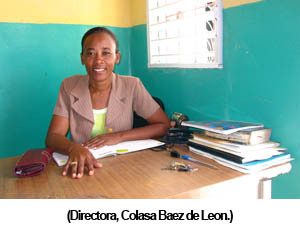 In another meeting, I commented to Ysabel Garcia Hernandez, the director of a much smaller school, “It seems to me that you really love these students.” She warmly responded, “Oh yes, of course. They are my children. 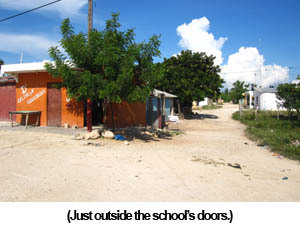 If they weren’t in school, they’d be on the street.” I looked out across the dusty, rocky, unpaved road and I know she’s waiting for me to say something, but all I can do is just smile and nod in affirmation. 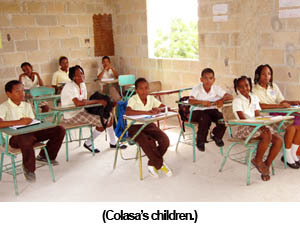 Colasa feeds the children at her school from her own kitchen if they haven’t eaten by 4:00. 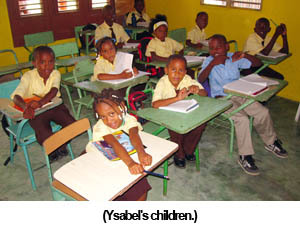 Ysabel provides scholarships to 10 students that cannot afford the $7 monthly tuition. Truly, this is a difference between Heaven and Earth. 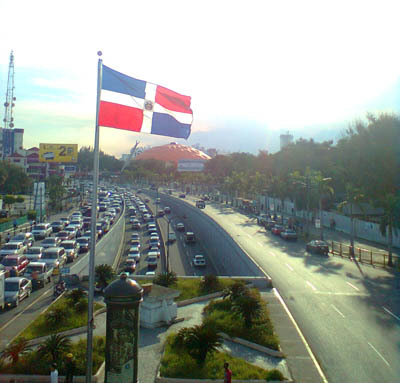 To better illuminate this distinction, you need to know that most of the Dominican economy runs on the “informal economy” which best can be described as the “daily hustle.” Daily hustle is the sound of market vendors yelling out daily offers where the loudest v oice gets the most customers. It’s also the tangible fear you feel when you step off of a street curb as bus drivers swerve through the lanes to reach a destination before the other buses or public cars because the fastest driver gets the most passengers. It’s the early wake up call when walking salesmen pitch household goods to neighborhood dwellers at 6:30am. True, they’re waking you up early, but at least you were just sleeping, most of them got up more than an hour ago, because the successful ones are the strongest that get up the earlies0,t and can walk through the most neighborhoods. If you’re not loud, if you’re not fast, if you’re not strong, you get left behind. That’s just how it is. These are the laws of the world, the laws of the hustle. It’s not, “get rich or die trying” it’s “stay alive hustling, or die hustling.” There is no other option for the poor. I pray that you and I will seek a kingdom that is greater than the ruling laws of the modern economy or the hustle economy. 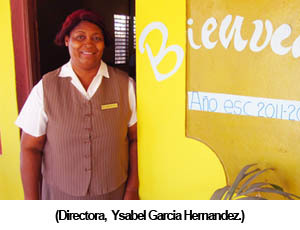 This entry was posted in Dominican Republic, Monthly Newsletter on September 26, 2011 by Aaron. In movies or books, foreshadowing is a plot device used to introduce or hint at something early in the story that will become much more important later on. It hit me recently, this was exactly what happened to me 13 years ago. I was on a Carribean just East of here, but under much different circumstances. I had just finished my freshman year of high school and Spanish 101 (for beginners). 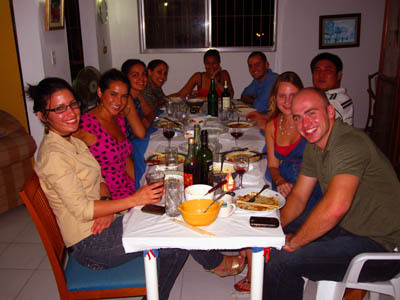 At that time, I was not really equipped to speak Spanish, nor at the speed of the Puerto Ricans (currently, this is still a pending question). A group of youth from my church, Linville Creek, went to Castaner, Puerto Rico to do a two week workcamp with the local Church of the Brethren congregation. That trip was the longest and I had ever been gone from home, and certainly it was the farthest. I remember a lot of things from that two week adventure. 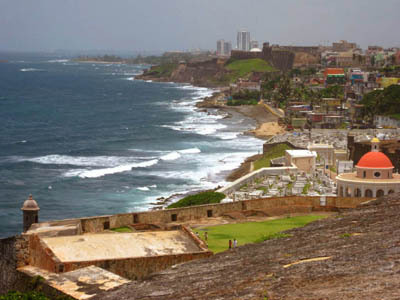 Puerto Rico was a beautiful island, with lush jungles, windy mountain roads, and breathtaking views. Too much of that viewing got me car-sick on a 5 hour trip to the city of Arecibo. Luckily, we made a stop on the side of the road to purchase fresh mangoes. Someone had just picked them from the tree. Before that, I had never liked the taste of mango, now I’m slightly in love with it. This was much like my experience a few days prior to the mango when a guy showed us how to open a coconut, because before that, I had never liked coconut. Continuing on in the gastrointestinal journey, I ate too many delicious desserts from a local panaderia and got incredibly sick later on that evening. There’s nothing quite like being 15 and feel like you’re knocking on death’s door a few thousand miles from home. Of course, It probably wasn’t grave, and true to common traveler’s wisdom, I didn’t buy anything else from that panaderia. As a teenager, I remember that every young woman I met was probably the most beautiful woman I had ever seen. I was pretty shy though, so I’m pretty sure had I been able to speak Spanish, I wouldn’t have talked too much. However, if you were the girl that wanted to talk to me by translating through your semi-bilingual friend from the Castaner Church Youth Group, buscame en facebook, por favor. Ya, sabemos que ha sido demasiado tiempo sin vernos y me encantaria tomar un cafecito contigo. Besides the random musings of a teenager on his first trip outside the states, one experience did stand out to me during that time, and I can still remember it vividly. Our last few days in country we spent in and around the capital, San Juan. 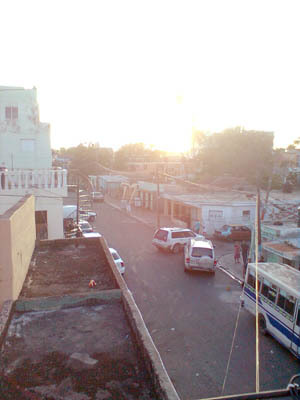 We spent some time in a Brethren Volunteer Service community located in a rough neighborhood called Caimito. I distinctly remember feeling uneasy walking around the community, where they said unemployment was just above 50%. 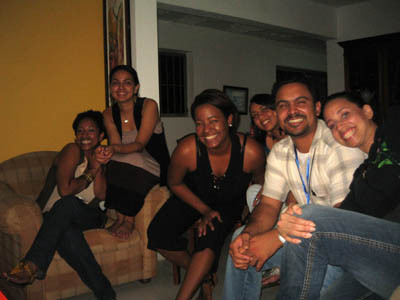 Yet the 20-somethings had no problem walking around feeling at ease, and clearly had made friends with the locals. These young adults seemed to wield a rugged and versatile maturity in a new culture and weren’t jarred or shocked by the dangerous ghetto that they lived in. I was desperately home sick and had just taken a nap from a long day. I awoke to the sounds of a nearby corner store playing a song, “She’s All I Ever Had,” which was popular in the States at the same time. Nostalgia flooded my mind. I just wanted safety, clean water, country roads, and to look out of window that didn’t have iron bars. I remember feeling incredibly alone, and being the farthest from home I’d ever been; the solitude was crushing. And here I am, 13 years later, I’ve got some time on the ground, I know a little (a lot) more Spanish, I’ve got friends, I’ve got a community, and I’m used to it. I guess that’s just how it works. This entry was posted in Dominican Republic, I didn't plan this, That's Odd on September 16, 2011 by Aaron. 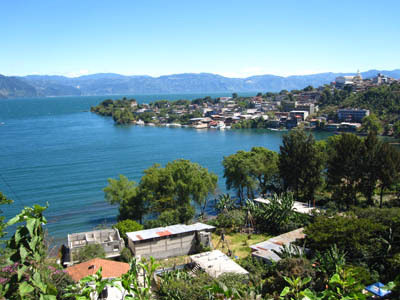 I noticed something disturbing going on in my head after my second month of being in Guatemala. It wasn’t the presence of something, but rather the absence of many things. Simply put, I wasn’t so interrupted as I used to be. Instead, I had clarity and continuity in my thoughts. Strange, how clarity can be so alarming, but it certainly was to me then, and after 14 months of being outside a normal American lifestyle, it is still pleasantly unsettling now. Clarity of thought is kind of like its cousin, “peace of mind” but you’ll be able to hold better conversations with clarity of thought at the dinner table. I think what I discovered was that when I was able to focus on something, I could get a lot more done and certainly, I enjoyed a lot more what I was doing. When there weren’t a few hundred things racing around in my mind constantly interrupting me, I guess I could really pay attention to what was in front of me. I remember back to when I was in the States playing in a soccer league, in the middle of a game, I’d think about what I was going to be doing later that night, or how I still needed to change the oil in my car, or how I needed to send out a few email reminders, or respond to some text messages. You know it’s a terrible way to spend a sunny Sunday afternoon with your friends isn’t it? Focused on everything but the game itself. The key ingredient in my new life and in the overall composition of my mind was the deliberate prohibition of interruptions. I’ve heard more and more productivity experts say that multi-tasking is a myth. We can only process things in a serial manner, just one thing at a time. If we limit the interruptions, we can be more effective in our work, and have more fun in our free time. I believe that. I really do now. 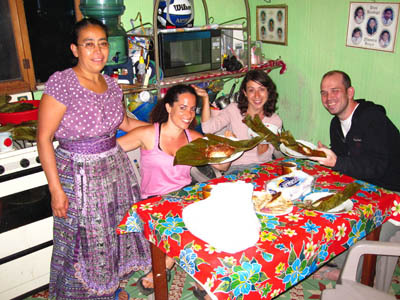 Most of my experiences traveling and living in another culture have been some of the most inspiring and fulfilling in my life. It could be that it’s because I get don’t interrupted much now, and I still have a pretty full schedule. I don’t have a smart phone. I don’t check face book regularly. I don’t check twitter regularly. My TV holds a few clothes that I plan to put away, and I’m pretty sure the last time I used the remote, it needed batteries. I purposely go do things for hours and try not to interrupt the time I have with my friends or my roommates. What is most important is the here and the now, the tasks and obligations have their time, but all of that is later, all that is important, is now. A life without interruptions is a simpler, easier, more fulfilled life. Now, get back to what you were doing! 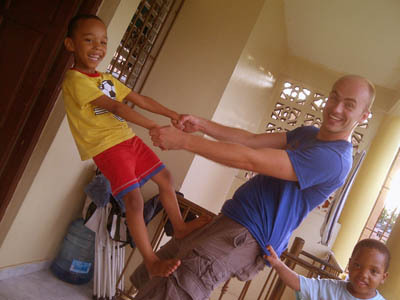 This entry was posted in Dominican Republic, Guatemala, Happiness on September 1, 2011 by Aaron.